If you are an avid cannabis user, in a cannabis related business, or someone doing research on cannabis you probably know about or have at least read mention of dabbing. Smoking dabs has been around for over a decade and is growing faster now than it ever has before. It was not to long ago that you were required to have a rig and torch to consume dabs, but with new technology there are better ways. In this article we will go into detail about dabs and how to dab without a rig and torch. Using a rig and torch is not the safest setup, it is a bit old school and a little over the top. Using a flame in general is not necessary and also limits the control you have, is less efficient, uses more material, and can be more harmful. A vaporizer on the other hand allows for a more precise temperature to be set which allows for better taste, even and efficient heating and a safer environment. The Dipper vaporizer is the best alternative regarding how to dab without a rig. Seen in the image above is a new product from DipStick Vapes called the Dipper Vaporizer. The Dipper is a dab pen where the tip heats up and you simply dab and inhale through the mouthpiece at the other end, very simple. The Dipper is also designed to be multi-functional and converts into an oven packing dab pen where you can flip the mouth piece to the other end and use it like a normal concentrate pen. The Dipper was released early in 2017 and over that past few months has gained considerable popularity in the vaping industry. You can read more on the Dipper and find out about the DipWhip accessory in our product review on this device here. In order to enjoy your experience vaping with dabs you need to make sure you get a vaporizer that has been tested and proven to work well. There are many portable vaporizers that claim to be the best and end up being extremely hard to clean/maintain and end up deteriorating shortly after you buy it. There are a number of portable vaporizers designed to vape multiple mediums opposed to just one. A multi material vaporizer can vape dry herbs, concentrates, and e-liquids from a single device. You can view some of the best 3 in 1 vape pens here. A dab is a concentrate that is high in THC levels. New technology and methods for consuming concentrates and dabs is allowing for a better image to those who looked the other way in the past. The old methods and image of someone using a torch and nail created a divide where cannabis looked a lot like doing heroin. This is obviously far from reality but if you put the two side by side and just watched the consumption (ignoring the effects and withdraws) you can see how they look pretty similar. Dabs have had a bad rep in the past but when you take the time to fully understand them and weigh the positives and negatives you will start to see a different picture. When you are consuming a higher potency of THC you only need to consume a small portion of what you would need to when consuming a lower level of THC per material being used. If you are using a vaporizer and concentrates you are greatly minimizing the amount of harmful chemicals (tar and carcinogens) that could enter your body. There is a article on Leafly that discuses dabs in detail that you can read about as well. The answer to 'how to dab without a rig' is that you simply need to apply heat and a pathway for the vapor to flow. There are many portable vaporizer that do this and you can read more about them here - portable concentrate vaporizers, and portable multi material vaporizers. Dabbing in general can be a dangerous thing, using a torch and a nail/rig is still a popular method used by many people, but this is changing slowly and new cannabis users are turning to portable vaporizers. The consumption of dabs is not the dangerous part though, its the making of dabs and the process used to extract the compounds. If you are not familiar with the process you should not attempt to make waxes, budder, shatter, or butane hash oil (BHO). There have been instances where houses have caught fire and explosions have severely injured and killed people who watched a YouTube video and thought they could replicate the process. In many cases people who do make a final product but don't really know what they are doing will create a substance that is far below average and may contain harmful chemicals that you shouldn't inhale or put into edibles. Its best to leave the science stuff to the chemists and to purchase your dabs, waxes, budder, and butane hash oil from a dispensary. The biggest benefit of concentrates that contain high levels of THC or CBD is that they pack a heavy punch to those who need it. People who are suffering from a major illness can take a hit or two and can begin to feel the effects rapidly. 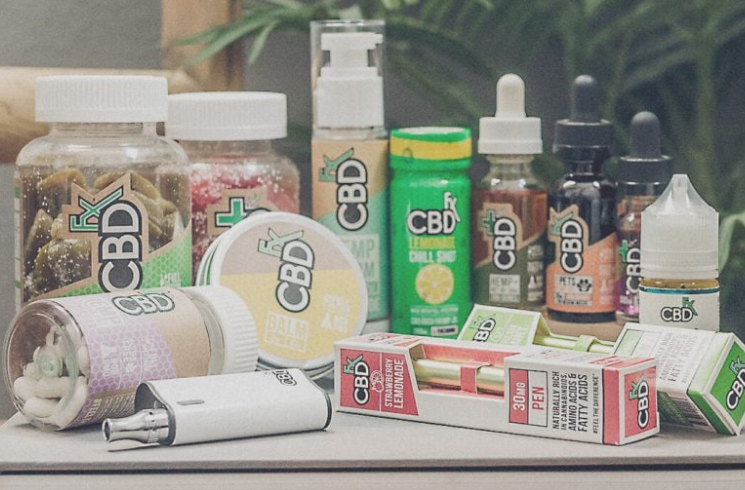 If you are a person who does not want to deal with the psychoactive effects than you should look more into CBD (Cannabidiol) and CBD vaporizers as this compound found in hemp does not get you high. Although there will always be home brews and people trying to learn and create there own home remedies, through the advancements in technology the devices and machines that can be purchase are helping to make the dab extraction process much safer. The growing acceptance of marijuana is also a contributing factor that will make getting dabs easier from trusted sources which will eliminate the need for most people to attempt to create there own. While the image of dabs has had a rough history and has been compared to harder drugs the future looks a bit brighter thanks to changing laws and regulations, advancements in technology, and the studies in favor of cannabis as a medicine to help treat various diseases and conditions. If you are thinking of using medical marijuana, you should strongly consider using a portable vaporizer that is designed for concentrates such as the Firefly or the Dipper.